In most cases, the problems seen throughout the rural landscape can be solved with management changes and conservation practices. 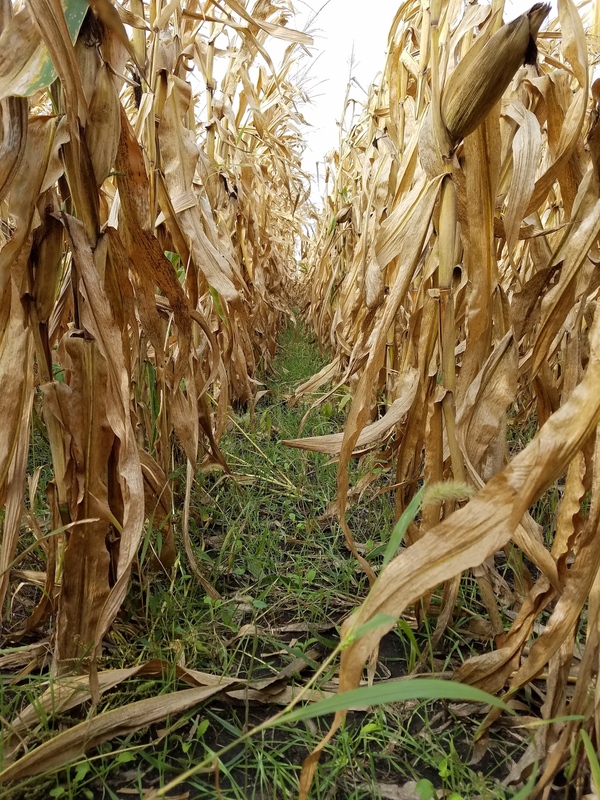 The Polk SWCD works hand in hand with landowners and farmers to work to make these changes in order to solve erosion, water quality, and soil health problems. Some of these solutions are “quick fixes” and others are complete changes to the way someone manages the land. Below we have highlighted some common solutions to our environmental problems. Yearly Management Changes: These solutions involve changing the way producers and landowners manage their property or farm. 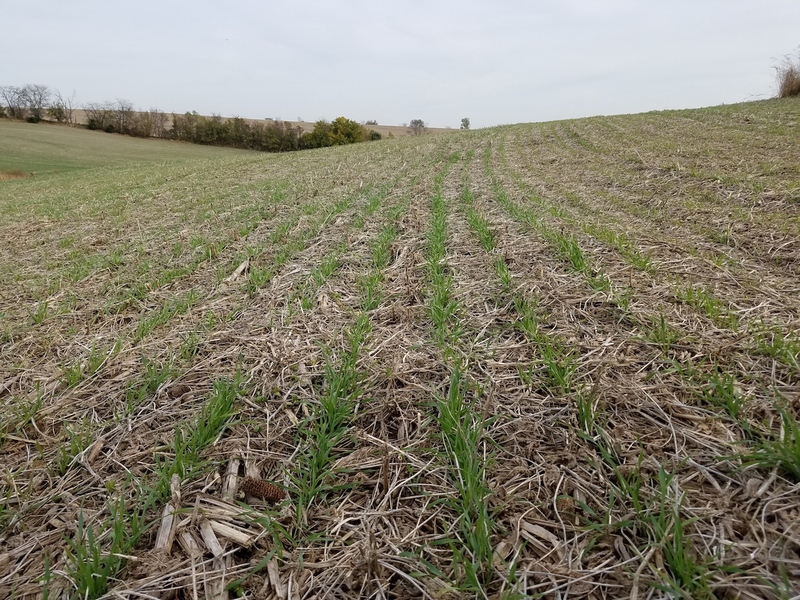 Cover Crops – Turnips, cereal rye, and snow peas are all types of cover crops used across farm fields in Iowa. 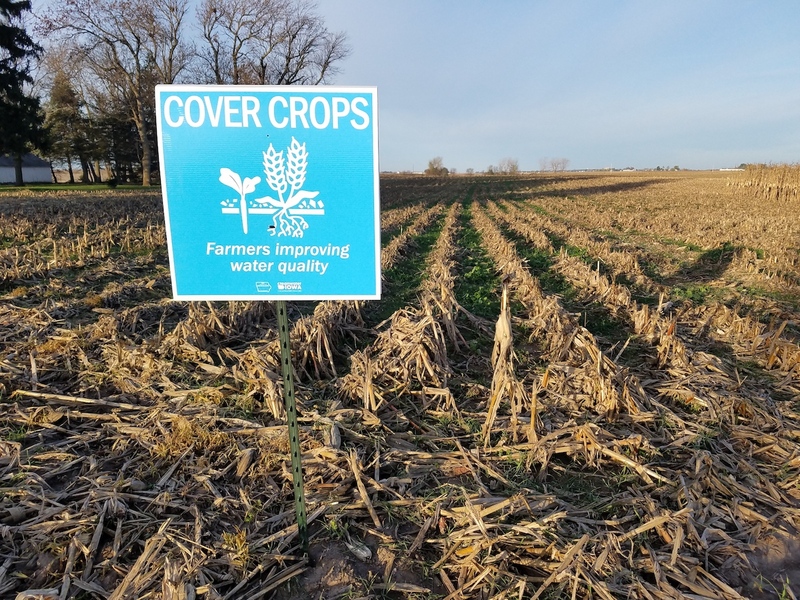 Cover crops are seeded after the cash crop (corn and soybeans) are harvested, covering the soil until the next years planting season. They have multiple benefits including reduced soil erosion, increased organic matter, lessened nutrient leaching, and decreased compaction. Erosion, Water Quality, Soil Health. Reduced Tillage – Tilling a farm field can destroy the soil structure, creating compaction and reducing microbial activity. In many cases, tillage is not necessary to produce a profitable cash crop. 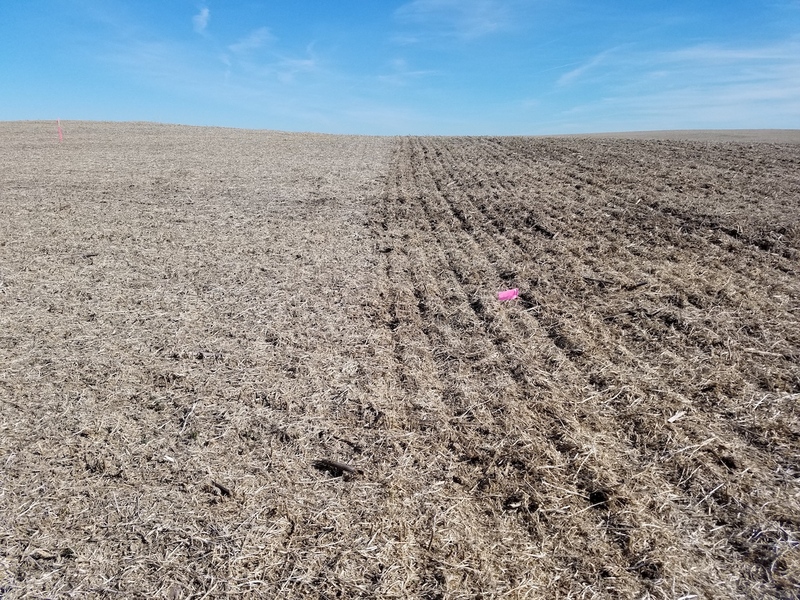 By reducing tillage, or removing tillage all together (no till), the soil structure will recover leading to greater infiltration and increased soil health. Not tilling also decreases the input costs that are associated with farming, saving the producer some money! 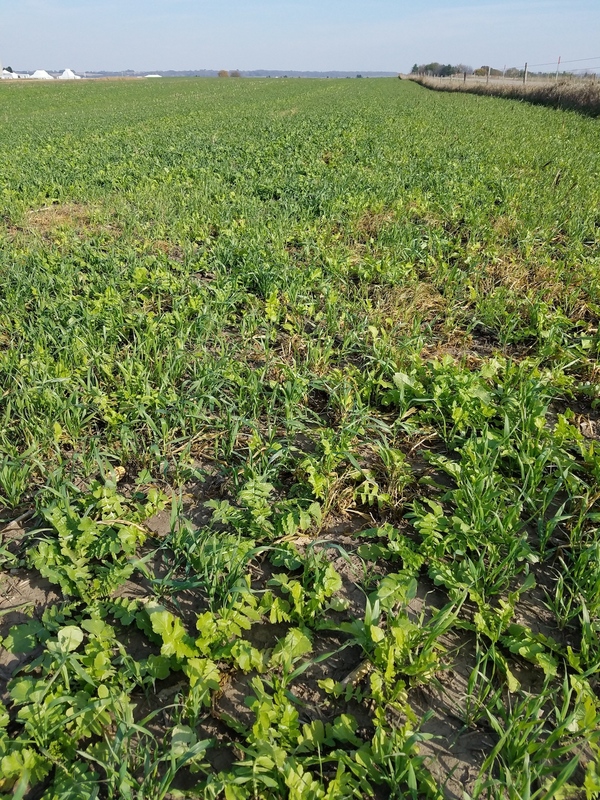 Conservation Crop Rotation – Conservation crop rotation involves growing multiple crops in succession on the same field. Most of the time, one soil conserving crop such as hay is inserted into a normal rotation of corn and beans. This management practice has the potential to break up the disease and pest cycles leading to less use of chemicals. The third crop also decreases erosion potential and adds biological diversity to the soil. Erosion, water quality, soil health. Permanent Landscape Changes: These conservation practices are “one-time” fixes and usually don’t require changes to the land management. In many cases, these are structures or plantings that are placed on the ground and kept there indefinitely requiring only occasional maintenance. Contour Buffer Strips – Contour buffer strips are narrow strips of perennial vegetation planted along the slopes of hillsides between wider strips of crop. They are placed strategically to slow down surface waters and prevent erosion. Prairie STRIPS are contour buffers strips that are planted to prairie plants and can have a secondary benefit to pollinators! Erosion, Water Quality. As you can see, many of the solutions to our rural problems have multiple environmental benefits. Along with water quality and soil health, many of them provide essential wildlife habitat that is missing from our landscape. Recreational benefits also arise when we talk about wetlands and any of the practices that improve the quality of our lakes, rivers, and streams. Contact us today if you are interested in implementing any of these solutions on your property.